Fox & Fox, S.C. is an experienced, nationally recognized law firm that has successfully handled employment, civil rights, whistleblower and personal injury cases throughout Wisconsin and the Chicago metropolitan area for over 30 years. There are powerful laws protecting individuals from discrimination, retaliation and sexual harassment in employment and from civil rights violations and other wrongdoing, but victims of these injuries are often unsure how to make these laws work for them. That’s where our firm steps in. Our experienced trial attorneys have successfully protected the rights of thousands of clients from every walk of life, obtaining favorable rulings and large damage awards for them in state and federal courts. That winning record has also given us the leverage to negotiate substantial settlements in many cases without any need for trial. 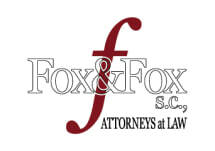 Opposing counsel know that Fox & Fox is prepared to go to trial and has the knowledge, skill and resources to prevail. These accomplishments have earned us wide recognition and respect among other attorneys and the communities we serve. Chambers U.S.A. named Fox & Fox the best plaintiff’s employment law firm in Wisconsin, home to the state’s “smartest and toughest negotiators and litigators.” Many of our attorneys have regularly been listed as top lawyers by Best Lawyers in America and by highly respected local and national publications. We understand that finding the right attorney and going through the legal process can be difficult and stressful. At Fox & Fox, we work hard to listen carefully to each client’s concerns, give practical no-nonsense advice, and help every client achieve their legal goals in the most efficient and beneficial way possible. If you are seeking attentive client service and aggressive, expert representation for a case in one of the practice areas listed below, contact us today online at www.fox-law.com or by telephone at 800-416-5368 to arrange a consultation in our Madison, Milwaukee or Chicago office. In most cases we charge only a contingency fee, which means that clients owe us nothing until we produce favorable results for them.